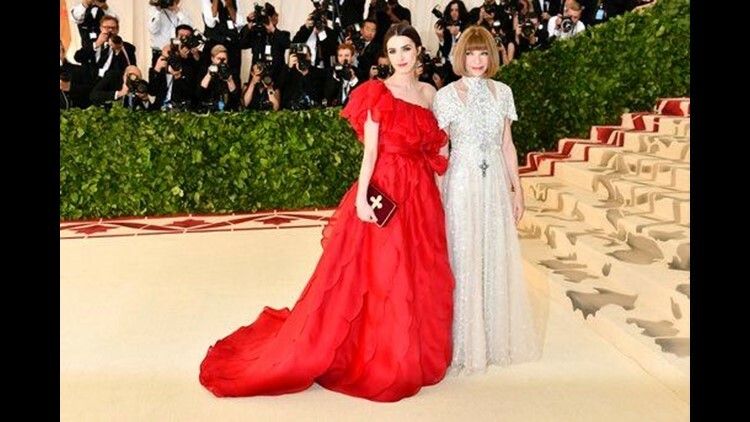 NEW YORK (AP) — Divine designs floated up the red carpet at Monday's religion-themed Met Gala in red and fuchsia, crowns and crosses and even a pair of wings. If anyone can make a mitre modern, it's Rihanna. The Grammy-winning artist arrived dripping in pearls and crystals in a Maison Margiela minidress and ornate robe designed by John Galliano. The "Diamonds" hitmaker, one of the evening's co-chairs, is never one to shy away from a grand entrance. 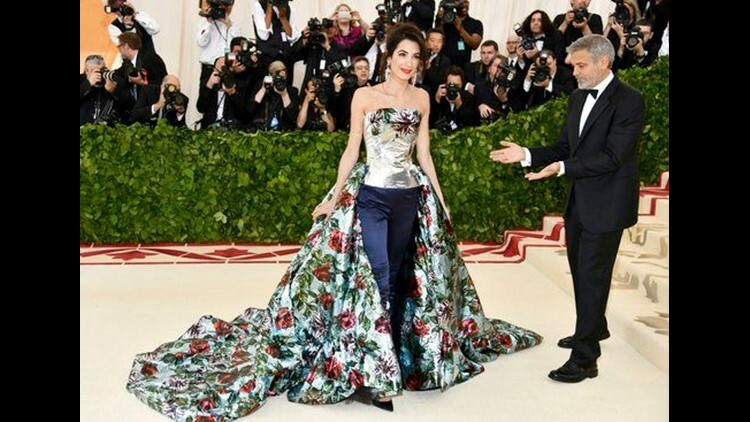 At last year's gala, she stunned in a dress covered in fluttery petal-like pieces by Japanese designer Rei Kawakubo. 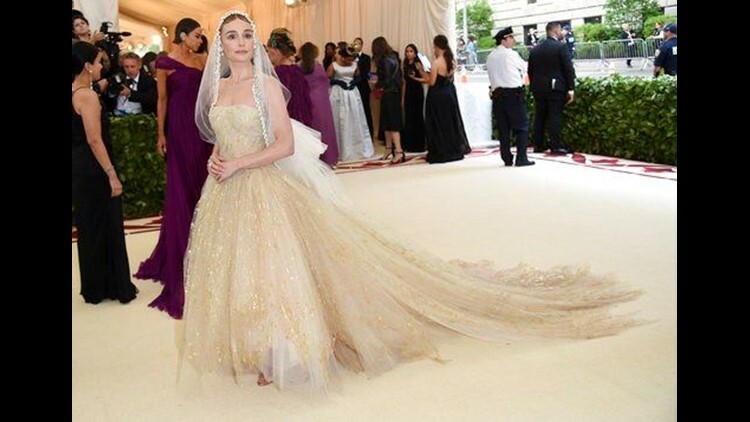 Stars tackled the dress code in elaborate headpieces, a sea of shimmering gold and, of course, crosses. Uma Thurman accessorized an off-the-shoulder, peal-encrusted Gabriela Hearst dress with a necklace of bright jeweled ones. Jennifer Lopez, who picked a colorful Balmain number with a feathered train and sky-high slit, had a cross bejeweled across her chest. While "Black Panther" star Chadwick Boseman donned an ivory cape featuring the religious symbol in gold beadwork. And Kim Kardashian West — walking the carpet sans her husband, Kanye West, who is under fire for recent tweets supporting the president and declaring slavery is "a choice" — wore hers on a shimmering gold Versace dress. Kate Bosworth's pearl-encrusted veil draped over a shimmering tulle gown by Oscar de la Renta, while Mindy Kaling donned a regal, blue-jeweled crown with a feminine silver gown and navy gloves. Kaling stars in the upcoming "Ocean's 8," a jewelry heist romp set at the Met Gala. AP Entertainment Writer Brooke Lefferts contributed to this report.